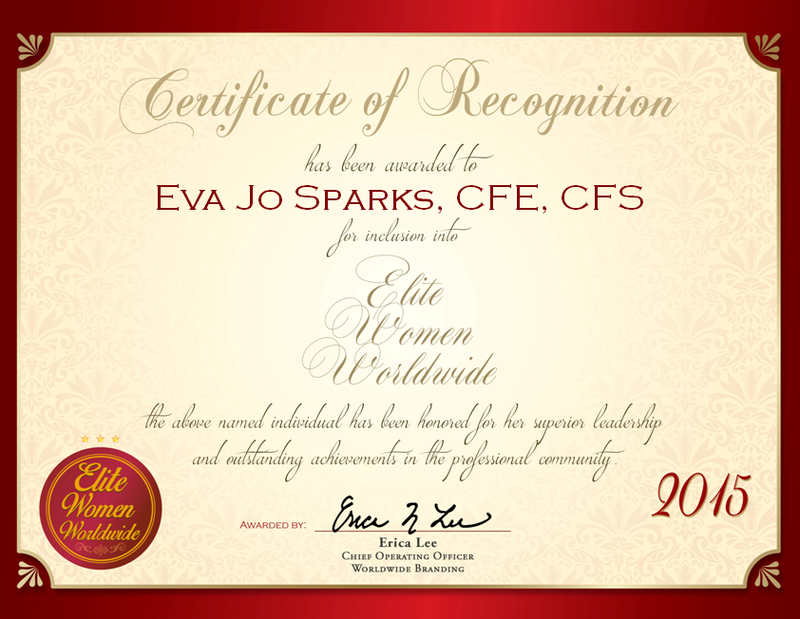 Broken Arrow, Oklahoma, October 22, 2015, Eva Jo Sparks, CFE, CFS, Owner and Consultant of Oklahoma Expert Witness, has been recognized by Elite Women Worldwide, for dedication, achievement and leadership in criminal investigation. 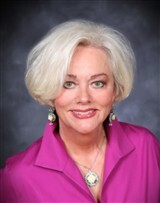 Eva Jo Sparks has 18 years of experience as the owner of Oklahoma Expert Witness. Throughout her career, she has set herself apart as an expert in the investigation of health care fraud, predatory lending and mortgage fraud. Each day, she is responsible for investigating white collar crimes, including financial and Medicare fraud through forensic accounting and investigations. She also detects embezzlement, reconstructs financial records and books, and prepares cases, which are tried in federal and state courts. Prior to joining Oklahoma Expert Witness, Ms. Sparks worked as an auditor and a legal assistant for the Oklahoma Department of Transportation. Looking back, she attributes her success to her positive attitude, hard work and honesty. The most gratifying aspect of her career is assisting pro se litigants who have been wrongfully cheated and have no means to assist themselves.